TREAT YO SELF: Spa Week Returns April 16th - 22nd! Life can be so amazing and at the same time, life can be... well, LIFE! Let's face it, some days are way harder than others and we often spend time racing through life without taking time to sit back and just enjoy! The good news is is that Spa Week is back next week, April 16th -22nd, and you can enjoy AMAZING Spa Treatments nation wide for only $50!! That price is enough to make you go "AHHH," (or should I say, SPAAAA)! Spa Week is when millions across North America frolic over to their favorite spas and indulge in full-service spa, wellness and beauty treatments for just $50 a piece. You know your body is worth $50 dollars so don't miss this exhilarating spa experience! You will feel refreshed and ready to take on the world after you have been pampered at a price that will make you feel even better! 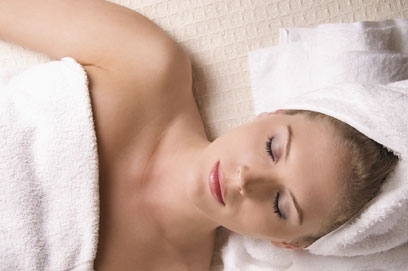 Find all $50 Spa Week listings on spaweek.com, and book your own week of wellness. It is recommended to book ASAP to get the best appointments Spa Week has to offer. Another reason to spa it up is that Spa Week is celebrating it's 16th editon so that means you have to act like a rebelious teenager and let your wellness go wild! Check out the video below to see what I mean! Be sure to check out where the Celebs Spa across the U.S. by clicking here! For more information on Spa Week and to get to Spaing visit SpaWeek.com.